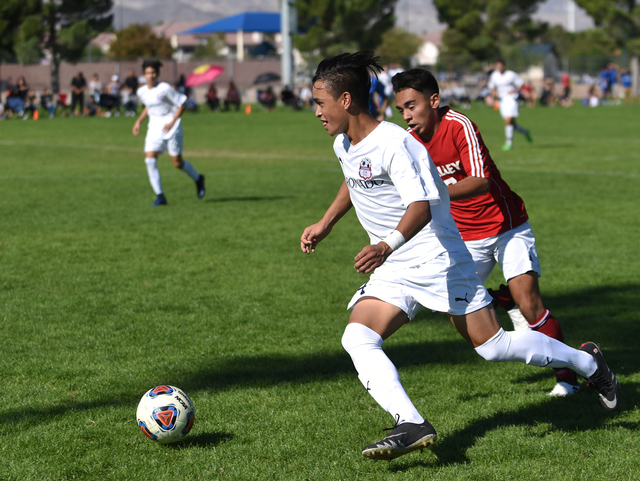 John Lynam had three goals, and Coronado rallied from an early two-goal hole to beat Valley 7-2 in the Class 4A Sunrise Region final at Bettye Wilson Park. 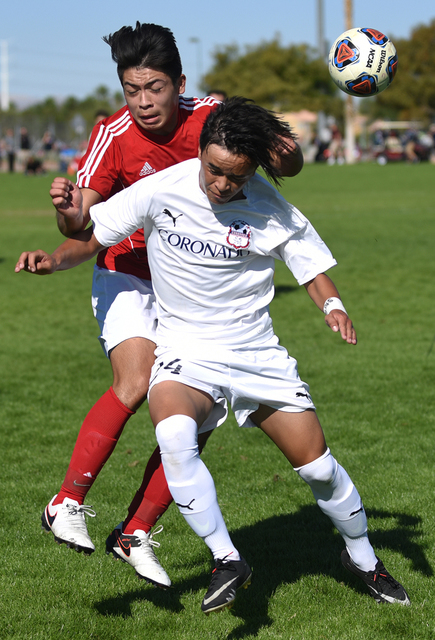 Alfredo Diaz was feeling bold after scoring twice in a five-minute stretch of the second half. 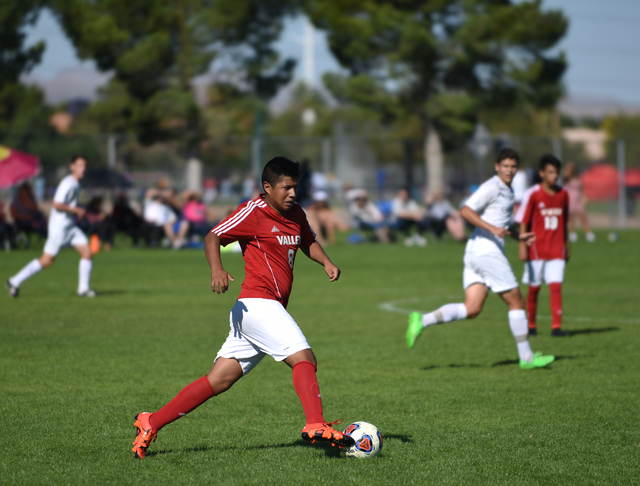 When the sophomore midfielder for Coronado’s boys soccer team had a chance for his hat trick a few minutes later, Diaz tried an audacious back-heel shot. 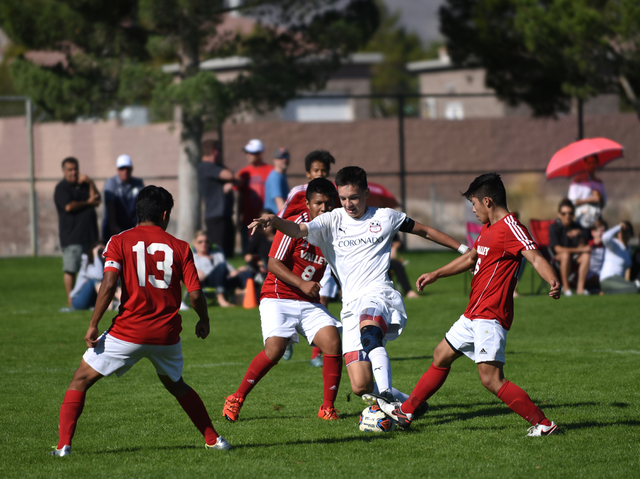 Diaz couldn’t pull off the move, but nearly everything else the Cougars put on goal Saturday went in. 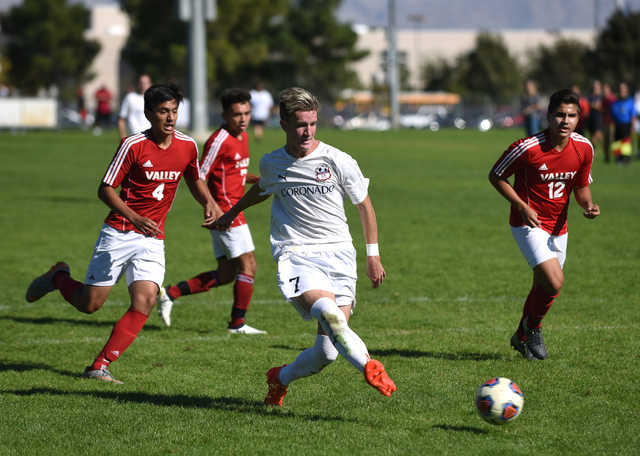 Preston Judd added a goal and two assists for the Cougars (17-3-1), who captured their first region title and advanced to the state tournament that begins Friday at Bettye Wilson Park. 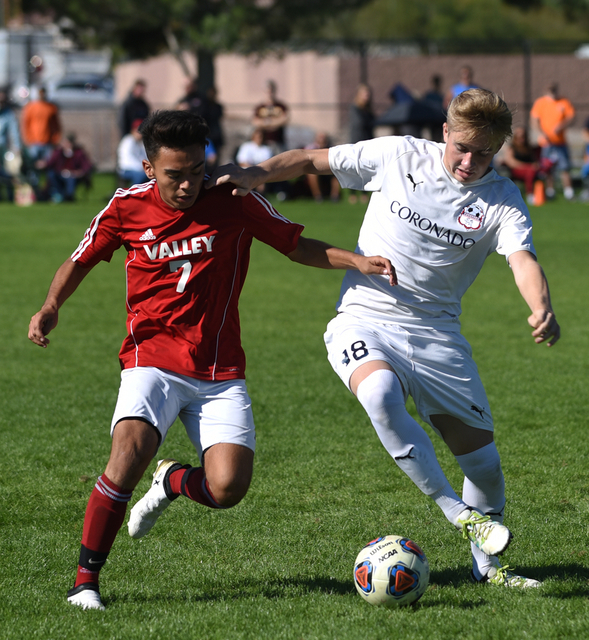 Valley (6-9-4) takes on Durango (19-4-2) in the state play-in game at 6 p.m. Tuesday at Faith Lutheran. 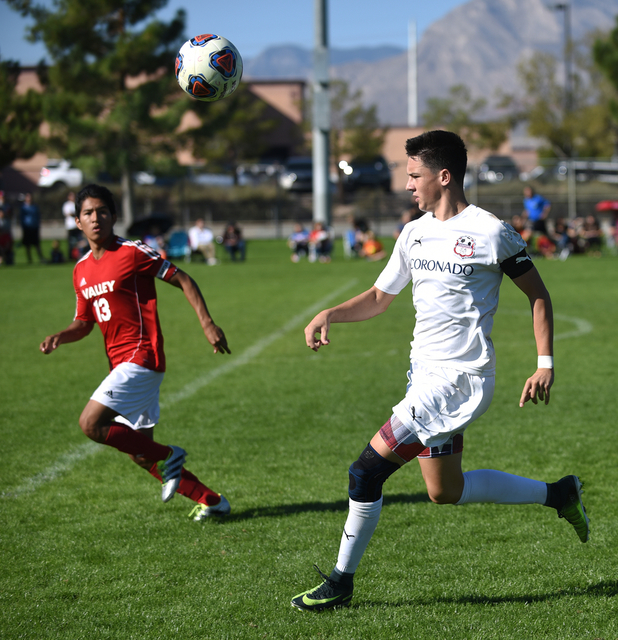 Coronado turned a 2-0 deficit after 20 minutes into a 3-2 halftime lead, and Diaz gave the Cougars a three-goal cushion early in the second half. 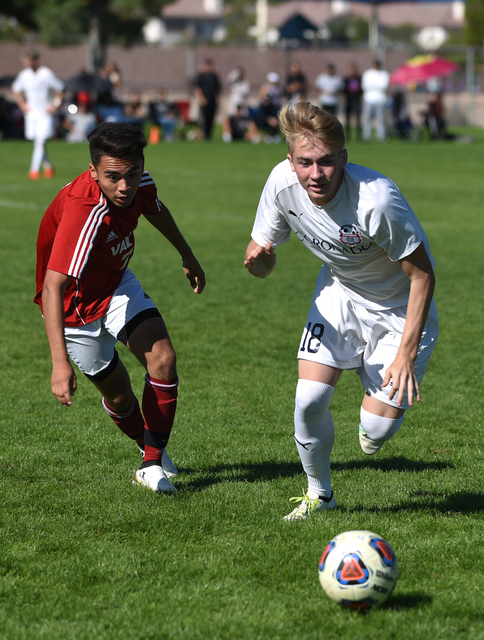 Diaz pounced on a loose ball in the box and tapped it home from close range in the 46th minute, then redirected Judd’s pass from the left wing to make it 5-2 in the 50th minute. 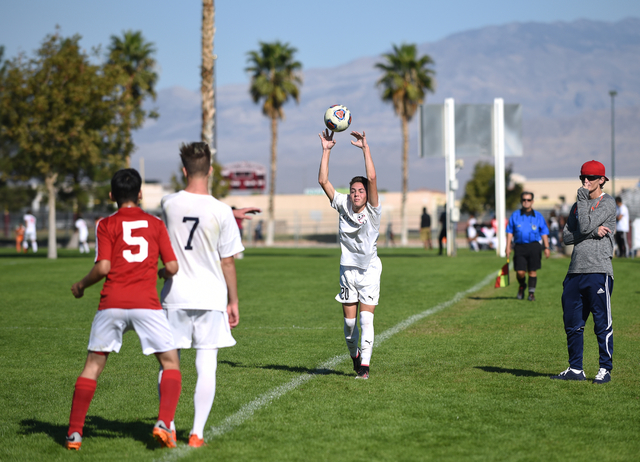 Lynam, the leading scorer in Southern Nevada, added two goals late to put the game out of reach. 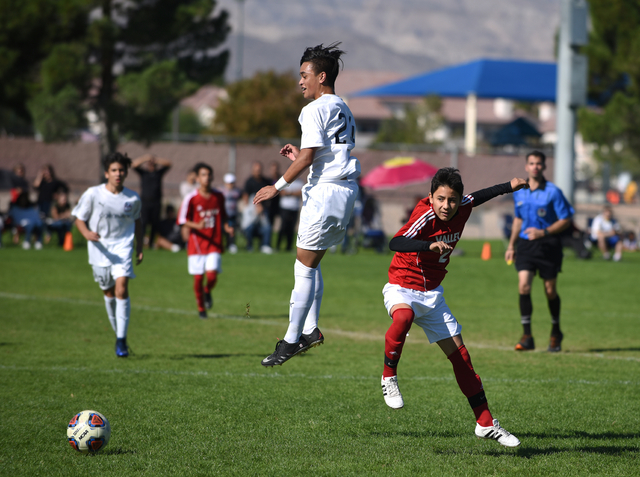 The Vikings, who knocked off Northwest League champion Las Vegas in the semifinals, looked headed for another upset after scoring twice against the run of play in the first half. 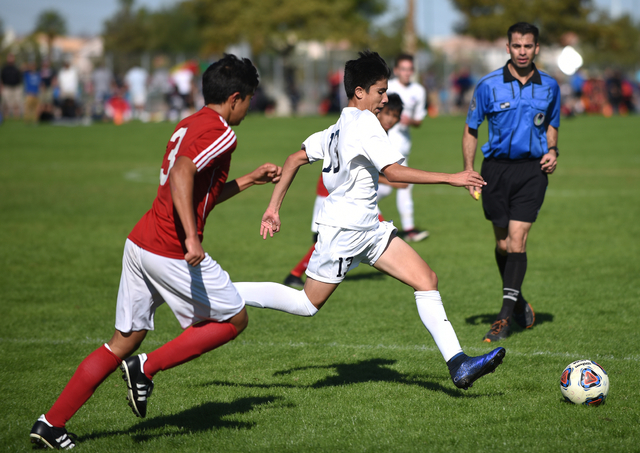 Jonathan Cerda rose above several Coronado defenders to head home Steve Favela’s pass in the 17th minute, and Damian Alvarez pounced on a mistake by Cougars goalkeeper Harrison Skinner to make it 2-0 in the 20th minute. 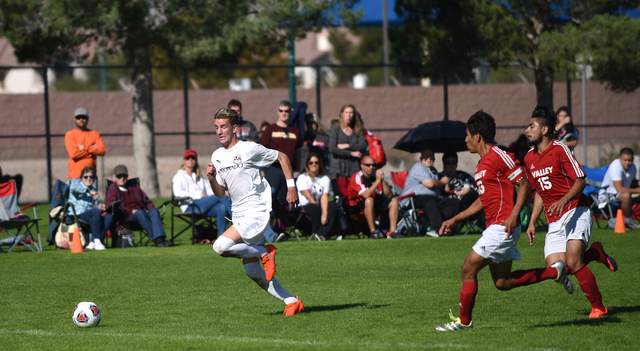 Coronado answered with goals by Brock Rideout and Judd before Lynam put the Cougars on top 3-2 in the 38th minute.